Fast Healthcare Interoperability Resources, the 3-year-old data exchange framework, has been updated to enhance clinical decisions and quality measures. A trial and implementation guide were both released in a collection of changes made over the past 18 months by HL7, the Ann Arbor, Mich.,-based standards development organization overseeing the FHIR initiative. FHIR's developers initially focused on moving patient summary information, “but if you're going to meaningful support healthcare, you have to get involved with the processes,” said Grahame Grieve, principal at Health Intersections, a Melbourne, Australia, information technology consultancy, and HL7's project leader for FHIR. Those processes include not only sending secure clinical messages – such as a general practitioner referring a patient to a cardiologist and providing the information he or she needs to know – but also tracking whether care was provided, Grieve said. 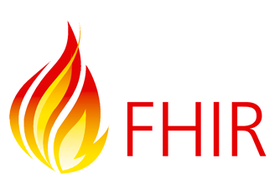 FHIR incorporates web-oriented methodologies and makes use of application programming interfaces. FHIR boosters say that makes it easier for mobile app developers to extract data from legacy electronic health records systems. That could help close a gap between providers' capacity to share electronic medical records with their patients and those patients' actually electronically viewing, downloading and transmitting their own healthcare information. Earlier this month, the General Accountability Office reported 88% of hospitals offered their patients electronic access to their medical records, but only 15% availed themselves of those offers. For physicians, the gap was 87% to 30%.